The secret is out...H.E.R. will be hitting the stage at ONE Musicfest. The R&B songstress, known for her sultry tone and mysterious persona, began gaining buzz after she dropped her debut EP H.E.R Volume 1-- which featured the breakout song Focus--in late 2016. Over the span of nearly two years, H.E.R.’s career has soared and she has been able to collaborate with the likes of Daniel Caesar on the hit song Best Part, perform on the 2018 BET Awards, and land a spot as an opening act on Chris Brown’s Heartbreak on a Full Moon Tour. 1. Focus From the moment, H.E.R. croons out the lyrics “Me- Can you focus on me?” It’s hard to stop singing the popular tune. The song has even garnered attention from Rihanna, who played the track in one of her Instagram posts. 2. 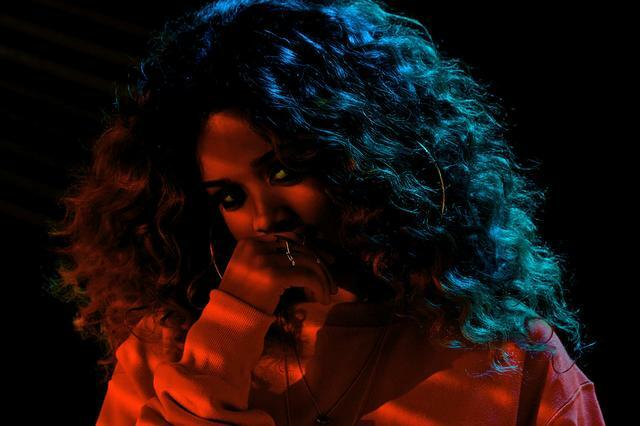 Every Kind of Way Another standout song from the H.E.R album, Every Kind of Way, has gained ample radio play and has been one of H.E.R.’s most streamed songs. 3.Best Part H.E.R teamed up with fellow R&B artist Daniel Caesar for the melodic song Best Part. The duo recently performed the song during a live performance on the BET Awards. 4. This Way As part of the soundtrack for the SUPERFLY movie, H.E.R. collaborated with rising artist Khalid for the song This Way. 5. Losing Losing is another noteworthy track from the H.E.R. album and features a brief sample from the beloved Aaliyah song At Your Best (You Are Love). You can stream H.E.R.’s music on Apple Music, Spotify, and Soundcloud. Make sure to purchase your ONE Musicfest tickets so you can see H.E.R., Cardi B, Big Sean, and more take the stage at our two-day festival.